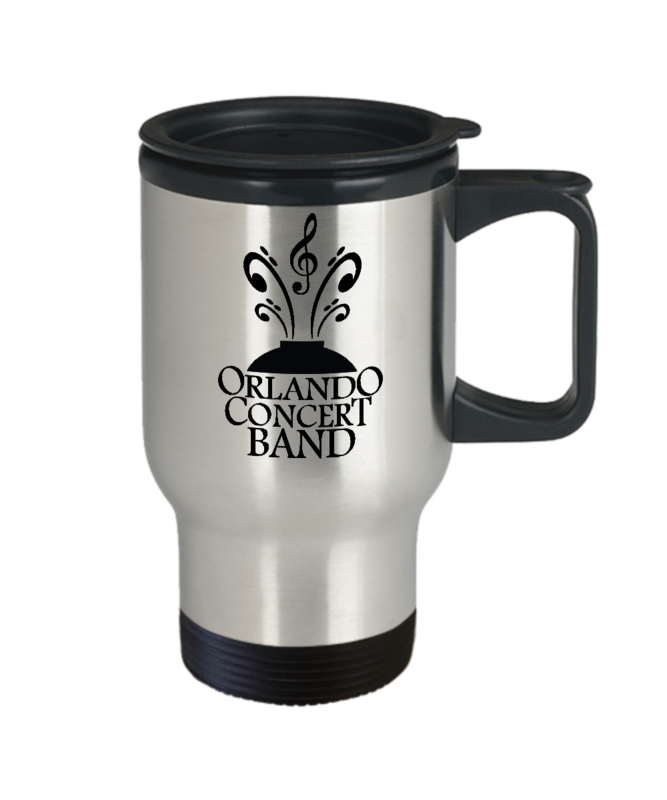 Support your Favorite Concert Band with this handy Travel Mug - perfect for hot or cold beverages! 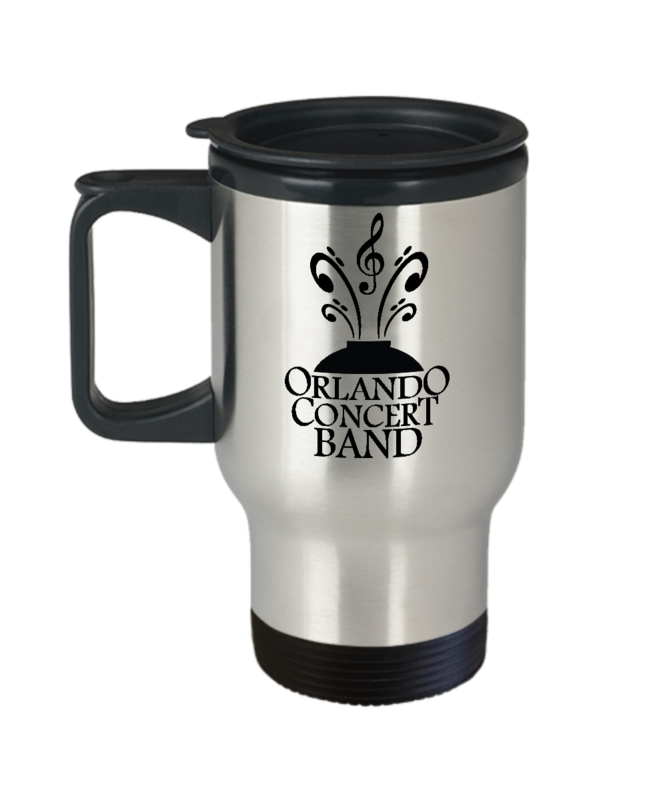 Silver Mug with durable black rubber/plastic lid and handle. Carry OCB with you...wherever you go!